Welcome to Day #5 of Chocolate and Bolivia Theme Week. 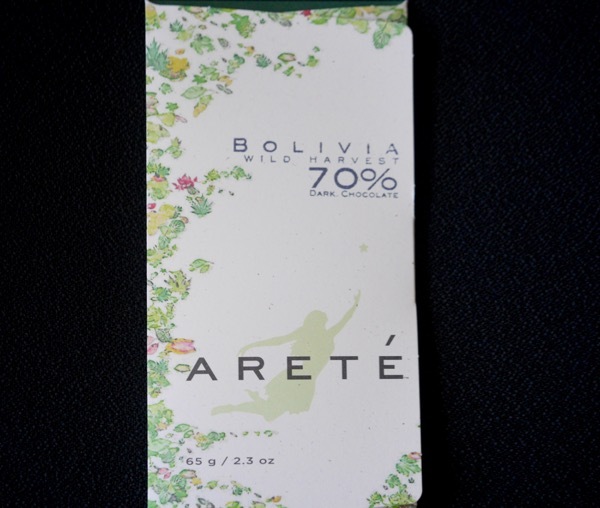 Today's Bolivia 70 percent Dark Chocolate bar from Arete Fine Chocolate (Milpitas, CA) was crafted from wild harvest cacao. 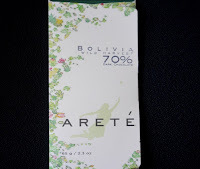 This Arete Bolivia bar had true chocolate (brownie, chocolate malt) flavor, like other Bolivia cacao-based bars this week. 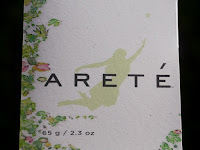 However, the Arete two-ingredient bar (wild harvest Bolivia cocoa beans and organic cane sugar) had aroma and flavor with a bit more breadth and depth. Don't get me wrong, many people will love (or prefer) the smoothness of 100 percent true chocolate flavor. 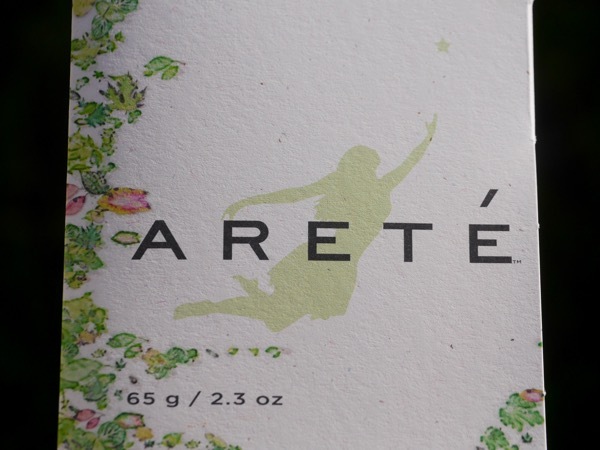 However, for me, having a little extra mystery warm green in the aroma and concentrated dried fruit acidity and some mysterious baked good flavors (leaning toward raisin spice cake/hot cereal) made this bar more interesting. There were no off notes, just intriguing and multi-dimensional ones. And that says something about the methods of the maker (thank you David Senk)—to be able tease out and develop the maximum potential of a particular batch of beans (on a remarkably consistent basis) without having anything go sideways.